Despite his relatively young age, Jonathan Anderson, at 32, has achieved something very few other designers have; the Northern Irish designer acts as the creative lead of two equally successive brands – Loewe, and his namesake J.W. Anderson. With this in mind, it is not particularly surprising that ever since he was appointed as the creative director of the 171-year old Spanish luxury brand, he has intrinsically played on his distinctive sense of androgynous beauty as well as infused the brand with a sense of life and new-born opulence. 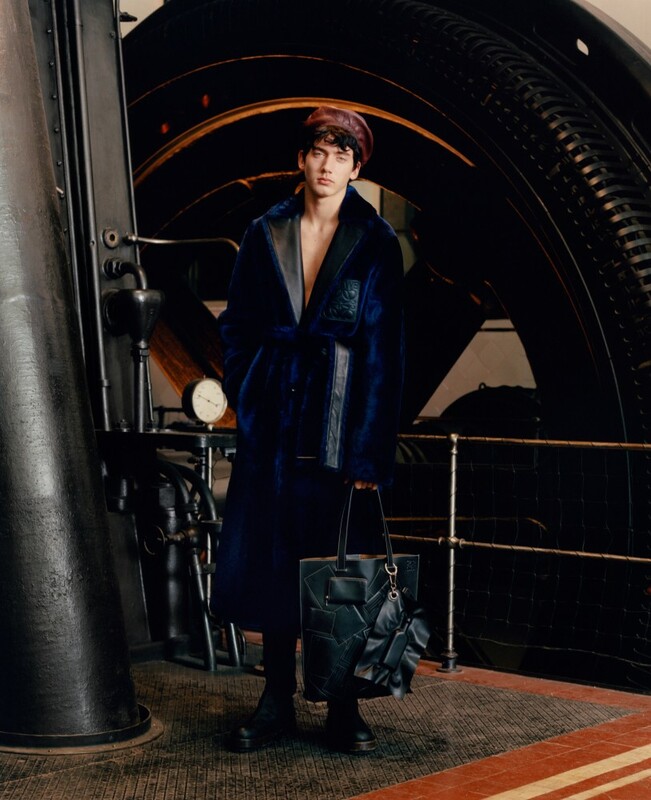 His 2017 Fall menswear collection for Loewe conveys this very idea in its simplest form. 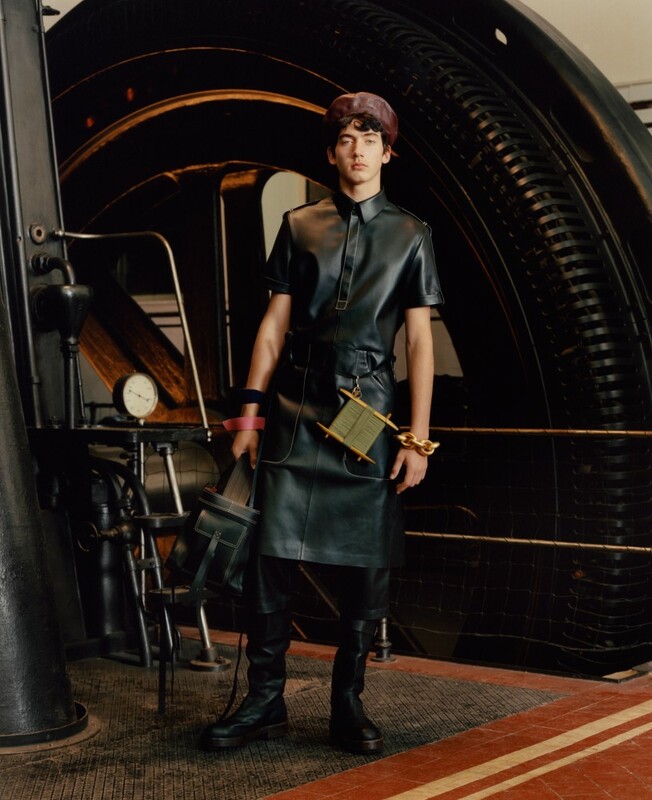 Set inside a former steam engine factory, Loewe’s AW17 collection presents itself in a very tangible post-industrialist light fusing the background consisting of heavy machinery with leather aprons, black and tan leather berets as well as black leather boots. Anderson skilfully introduces a number of intrinsic details into the wider collection such as the delicate stitching on leather accessories, golden belt buckles in the form of lips and noses, and large golden bugle earrings. The details, however, only add the finishing touch to a widely self-sufficient and playful collection containing large coats, oversized Aran knit sweaters, layered tartan jackets and colourful thick shirts. Looking at the collection as a whole, the following quote depicting Robert Mapplethorpe by the “punk poet laureate”, Patti Smith, springs best to mind: “He was dressed in dungarees and sheepskin vest. 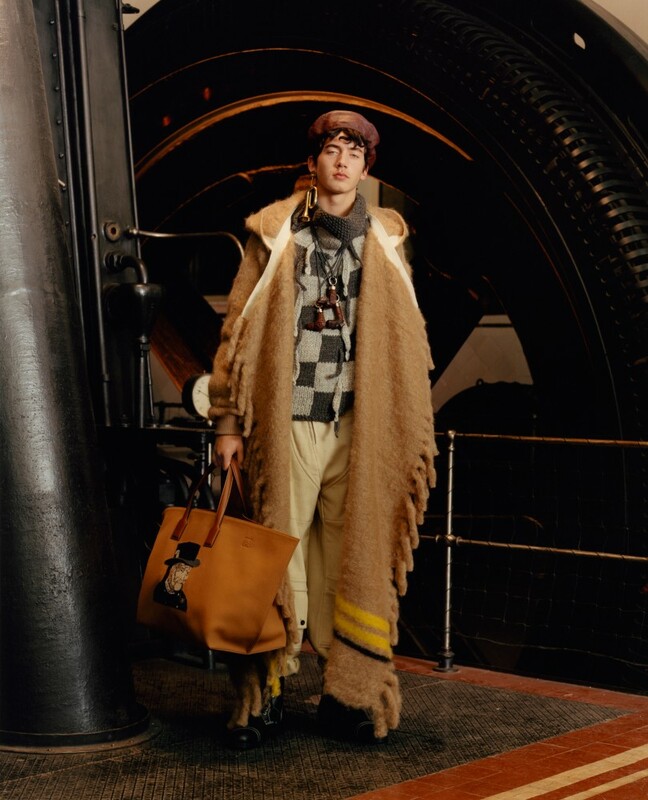 Around his neck hung strands of beaded necklaces, a hippie shepherd boy.” Loewe’s AW17 collection manages to push that notion of “hippie shepherd boy” into the 21st century through carefully constructed aesthetics of male beauty.